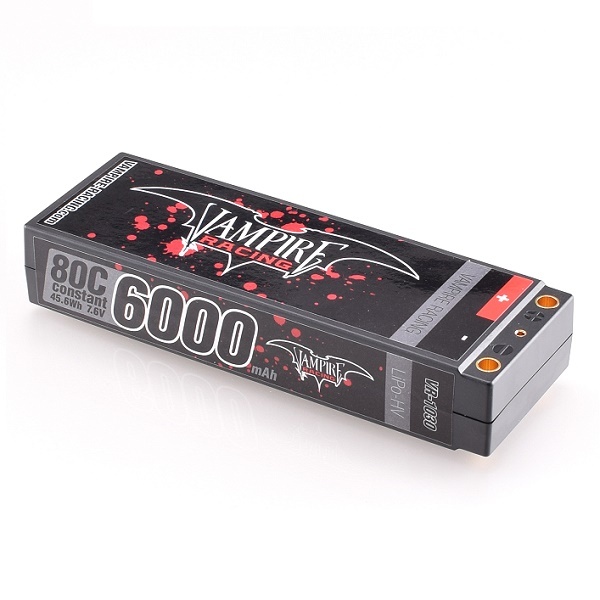 Available now from Vampire Racing is the new 6000mAh 80C LiHV competition battery pack. Made from high-quality high-voltage Lithium-Polymer cells with a constant 80C rating the battery offers a nominal voltage of 7.6V, it weighs in at 305g and extensive testing has shown exceptional performance and durability. The pack utilises 5mm tube-type connectors, Vampire Racing's new black design stickers and it is both EFRA and BRCA legal.